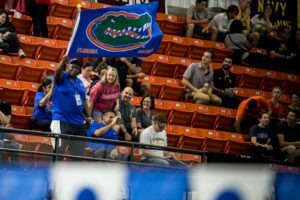 The Florida Gators pulled off the sweep on the road against Georgia on Friday, with the women defeating the Bulldogs in Georgia for the first time in 23 years. *Note: Upon research we have found that Georgia’s last loss at home to Florida was in 1995, where the Gators topped them 135-118. Quotes via the Florida women’s and men’s press releases. The women’s meet was a seesaw battle, with the lead changing hands multiple times. Florida opened up with a win in the 200 medley relay by two-tenths in 1:40.04, with top splits from Emma Ball (25.44) and Vanessa Pearl (28.20) on back and breast, while the Bulldogs had fast legs from Dakota Luther (23.86) on fly and Veronica Burchill (22.15) on free for a final time of 1:40.25. Courtney Harnish then won back-to-back events in the 1000 (9:56.58) and 200 freestyles (1:47.09), leading a 1-2-3 finish for Georgia in the 200 where Burchill (1:48.17) took 2nd. The Bulldogs actually outscored Florida 16-3 in the 200, which gave them a lead they would hold on to until the last few events. Pearl, a freshman, went on to win a pair of events in the 100 (1:01.77) and 200 breast (2:14.79), with the latter being a 1-2-3 finish for the Gators. She also placed 2nd in the 400 IM, the second last event of the meet, in 4:13.02 to teammate Hannah Burns (4:12.37), and with Kelly Fertel taking 3rd the Gators overtook the Bulldog lead that had stood since early on. Pearl led the Gators with 22 points, and another freshman, Mabel Zavaros, was their next highest scorer with 15. 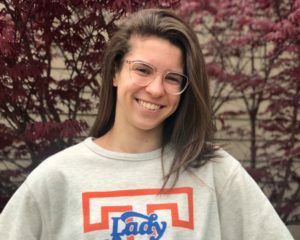 The Canadian, whose twin sister Rosie also swims for the team, won the 200 back in 1:55.92, and also placed 2nd in the 100 fly in 54.33 to Georgia’s Luther (53.96) and took 4th in the 200 fly where Luther also won in 1:56.08. Also winning for Florida was Ball in the 100 back (54.01), Isabella Garofalo in the 50 free (22.87), and Brooke Madden (313.73) in the 1-meter diving. Leading by eleven points, the team of Garofalo, Sherridon Dressel, M. Zavaros and Fertel combined to win the 400 free relay in 3:20.28 and close out the dual meet victory for the team. Dressel had their fastest split in 49.75, while Burchill led off Georgia’s relay (3:22.01) in 49.28. 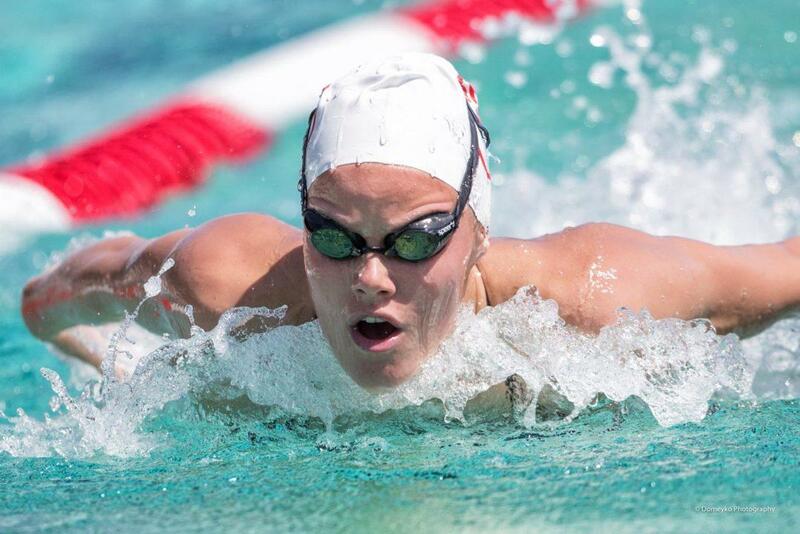 In addition to her wins in the 200 and 1000, Harnish also won the 500 free for Georgia in 4:48.14, giving her 27 points, and Luther’s two fly wins put her 2nd on the team with 18. Burchill also won the 100 free for them in 49.68 over Garofalo (50.12) and Dressel (50.18), while McKensi Austin gave them a diving win in the 3-meter. 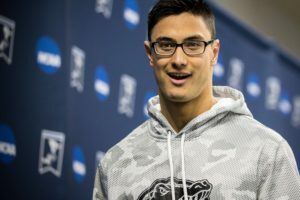 The men’s meet was a much different story, as Florida outscored the Bulldogs 15-2 in the meet opening medley relay and never relinquished that lead the rest of the way. Juniors Khader Baqlah and Maxime Rooney led the way for the Gators with two individual wins apiece. Baqlah led a 1-2-3 effort in the 200 free in 1:35.96 over freshman Trey Freeman (1:38.15), and followed up with another win in the 100 free (44.19) as the Gators went 1-2-3-4. Polish freshman Kacper Stokowski took 2nd there in 44.75. 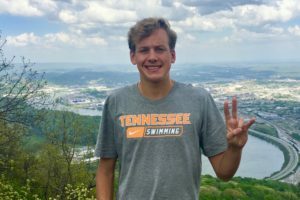 In another top-4 sweep, Rooney won the 50 free in 20.24 over Christoph Margotti (20.61), and then later on took the 100 fly in 47.79 over Georgia’s Camden Murphy (48.04). 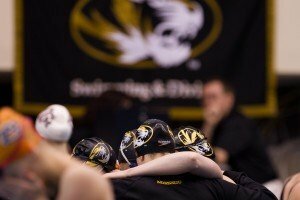 Rooney also had the top fly split (20.98) on Florida’s winning 200 medley relay, where Stokowski also had a blazing fast 21.64 backstroke lead-off, and then Rooney (44.20), Margotti (44.30), Stokowski (43.76) and Kieran Smith (44.57) combined for the top time in the 400 free relay (2:56.83) to close the meet out (though it was officially scored as exhibition). Stokowski, who had the missed the last few meets with a reported illness, had an individual win of his own in the 100 back, clocking 46.76 with teammate Bayley Main putting up a 47.84 for 2nd, and Florida also had additional wins from Clark Beach in the 200 back (1:45.78) and Santi Corredor in the 500 free (4:22.27). For the Bulldogs, James Guest was a standout with three wins in the 100 breast (54.44), 200 breast (1:57.92) and 400 IM (3:50.47), holding off Florida’s Smith by less than a tenth in the medley. 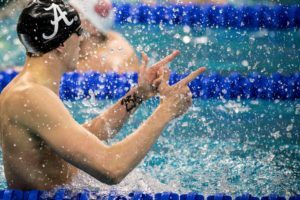 Zach Allen swept the diving events for Georgia, and they also had wins from Murphy in the 200 fly (1:46.19) and Greg Reed in the 1000 free (8:59.13), with Reed’s time putting him 2nd in the nation. Does anyone have any update re Eva Merrel? someone on another article said she is a redshirt. If so I think that would set georgia up good for next year, since they have small senior class this year. 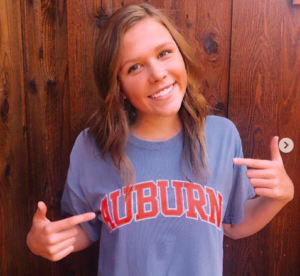 Good and bad points to her redshirting and setting them up for next year. First of all, that will be two years of her not swimming/competing…that is a long time. Will she be the same swimmer after two years? Also you say they have a small senior class graduating which is also true. But does that mean that a lot of scholarship money to recruit with? I doubt it. It’s great to see some of these programs stepping up under new coaches. 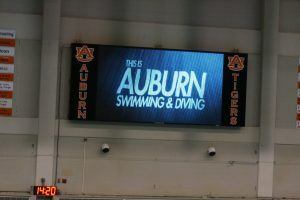 Auburn women just whipped Virginia women under new head coach Gary Taylor–on the road. Congratulations to Jeff Poppell and Anthony Nesty GREAT COACHES and GREAT MEN.